No-Hijab policies, anti-Muslim corruption and cover-ups. Its a bloody mess at the BBC. Why I have made complaints about David Cameron’s statements in Parliament today. At this crossroads in history, I fear the Church is now failing us. The corporate Church has become subject to governmental pressure and poll numbers. It is lead by company oil men not fishers of men. Is Britain still a Christian country? Britain is not a Christian country any more, according to a Report from the Woolf Institute and Baroness Butler-Sloss. 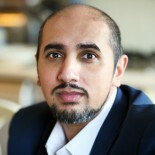 Hear the debate with Mo Ansar and English Democrat politician, Robin Tilbrook. The rediscovery of reason in the Muslim world and the crisis of knowledge fuelling the clash of civilisations. End times prophecies from Prophet Muhammad (pbuh), the war of terror being waged by the Khawarij who we know as ISIS / Daesh / ISIL and a warning against the fake reformers of Islam.